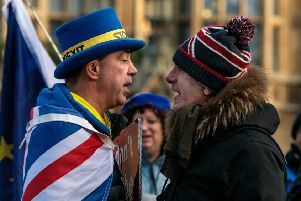 The SNP’s Westminster leader Ian Blackford was harassed by a group of Brexit supporters who shouted abuse at him as he walked down Whitehall. Mr Blackford and fellow SNP MP Stephen Gethins were leaving the Cabinet Office shortly after 4pm following a meeting to discuss Brexit with minister David Lidington. 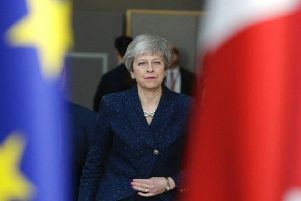 READ MORE: Brexit: EU leaders open door to long delay as May fails to set out plan B. A group of around a dozen people followed Mr Blackford, shouting “traitor to England” and “leave means leave”. Media interviews that were scheduled to take place outside the Cabinet Office had to be abandoned. The pair were escorted back to parliament by a police officer. 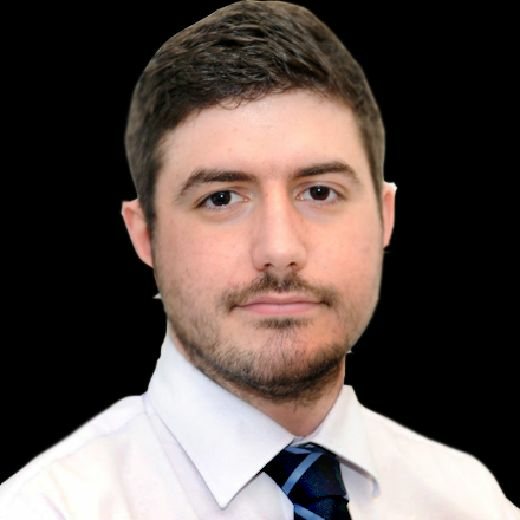 There has been growing concern about the safety of MPs and their staff around Westminster, with parliamentarians this week being advised to take taxis to and from work.